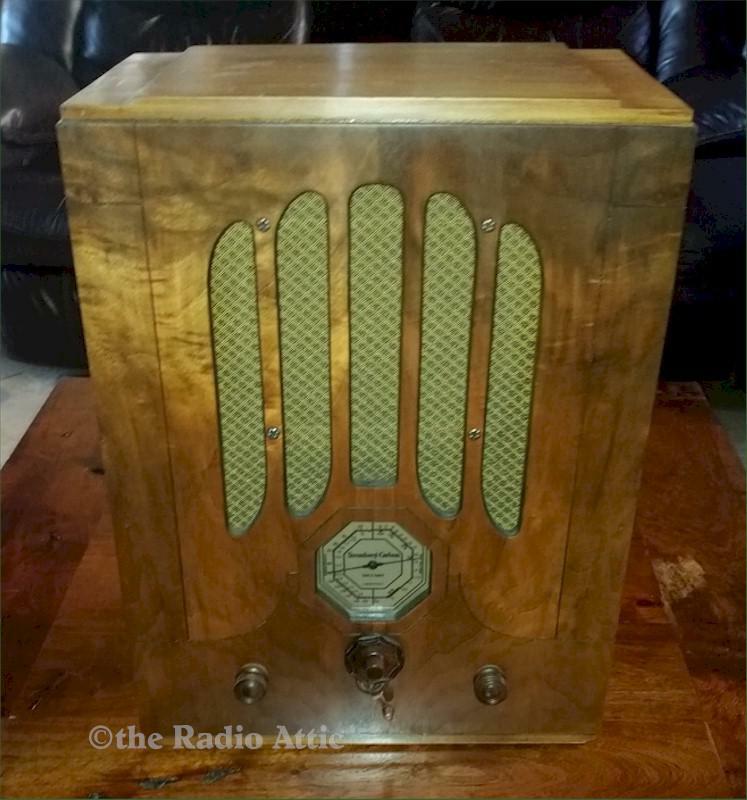 This is a very nice radio. I know the chassis has been gone through. Looks like someone tried to refinish the case as I see a couple of flaws. See photos. The dial lights up. The radio sounds good. Email me with any questions. 19-1/4"H x 14-3/4"W x 11-1/2"D.
You are visitor number 1,883 to this page.